France earned their place in the World Cup final with a 1-0 over their neighbours Belgium on an edgy night in St Petersburg. 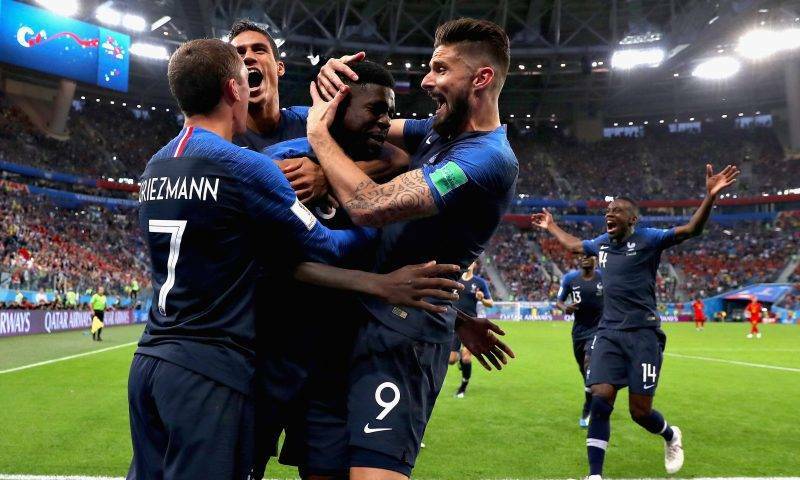 Samuel Umtiti’s glancing header early in the second half put the French ahead and from there Didier Deschamps’ team dug in to deny Belgium any clear-cut opportunities. As much as Lukaku tried, he just couldn’t find a way to make his presence felt. He was unable to find his way into the game and he would definitely have wished for a more dominating performance. Having almost two-thirds of the possession in this match (64%) didn’t help the Belgians in front of goal either, with star striker Romelu Lukaku only touching the ball once in the first 20 minutes of the game. While the likes of Antoine Griezmann and Kylian Mbappe were putting a show in the final third, another French forward isn’t having as much luck. 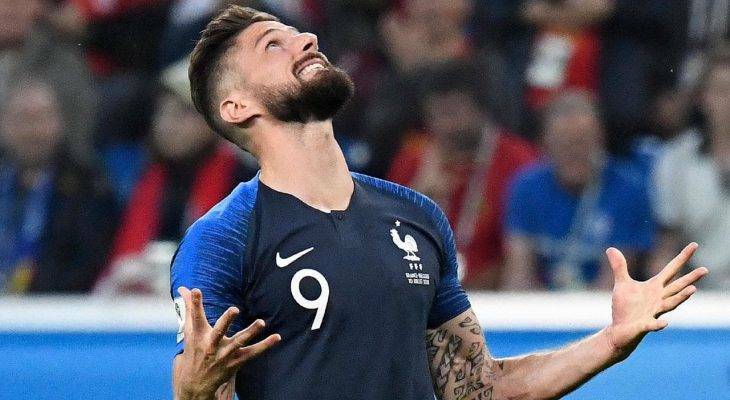 Olivier Giroud has now played over seven hours of football at the 2018 World Cup without managing a single shot on target. That’s 425 minutes of continuous football without troubling the opposition keeper. Both Romelu Lukaku and Olivier Giroud have had – and continue to have – their detractors. Their style is not too dissimilar; two physical focal points who don’t get nearly enough credit for their technical quality, with an ability to bring team-mates into play, sniff out chances in the penalty area and conjure the occasional spectacular goal from dust. This seemed like an apt moment to compare the two. Both had chances they might have taken, reacting a little too slowly, or taking one touch too many, or one touch too badly. Both looked, on the surface at least, like they weren’t always on the same wavelength as their chief co-conspirators, Mbappe and Eden Hazard. And in the end, there was little to separate the pair from a near performance – except that one will get the chance to play in a World Cup final, and one will not.